What is the water, energy and carbon cost of keeping clean? Cleanliness need not be next to impossible! TL;DR — water itself might not always be a direct problem. But heating it for washing uses a lot of energy. So saving water saves money and carbon too! On this site I'm mainly interested in energy costs and the resulting carbon emissions. Water does not usually seem to be in short supply in the UK. (Though my childhood drought of 1976 is still firmly in mind...) Water is a resource worth conserving. It will become more scarce with climate change and energy shortage. For example, London may have to consider firing up some energy-intensive desalination plant soon. I was originally provoked to write this note by an advert in the Times 2009/03/07 for the ecocamel water-saving showerhead. It injects air into the water stream, claiming to save up to £250 per year per household in water and energy bills (40%/55,000l less water showering per year). The ecocamel showerhead costs about £25 in 2009; £30 upwards in 2017. Very much to its credit the ad explains some of its assumptions and calculations in reaching the estimated savings. Our gas tariff (with a standing charge) comes in at about half the cost per kWh quoted in the ad. But even if our water was metered our per-m^3 charge would be lower than that indicated in the ad. Further, as of 2009 only one of us in our household of four currently takes a shower, thus we couldn't possibly currently achieve the savings suggested. Though only one tenth would be enough to pay for itself financially in a year. 148l (32gal) is average water use per Briton per day. 130l (28gal) is what the Environment Agency would like us to reduce to. 5,000l (5 tonnes) is wasted by a dripping tap per year. 3.5bn litres of treated water is lost through leaking pipes across the UK per day (25% of entire supply). Water consumption of conventional showerhead 12.8l/min. Water consumption of ecocamel showerhead 7.6l/min. The two children have shallower, cooler baths, about 4/week also. One adult takes a similar number of showers per week. By reducing my (already shallower, cooler) baths from daily to every other day we saved ~2kWh/day gas in 2009 compared to 2008. Thus bringing the total cooking/DHW consumption down from ~8kWh/d to ~6kWh/d. In 2009 I will try to replace most of my baths with showers to aim to save up to another 2kWh/day (~730kWh or 139kgCO2 per year). As of 2012/12 a new Flowpoint showerhead and a 4-minute shower timer free from Thames Water may get my occasional shower down to <30l and <2kWh. A quick measurement 2013/01/06 with mains water at ~10°C indicates a consumption of about 0.032m^2 gas or 0.34kWh/min while showering. IE a little over 20kW given a nominal boiler output of ~24kW, so for a 4 minute shower, and allowing for warm-up time, ~1.4--1.6kWh. In the dishwasher as of 2009/03/08: washing tablet <10p, electricity >10p (0.86kWh for normal 'quickwash' programme with inlet temperature between 10°C and 20°C), water consumption 18l specified in manual (though not clear if this includes prewash/rinse) thus <10p as metered by Thames Water. We do some washing by hand in the sink, but relatively little. Maximise energy and water efficiency by running your dishwasher full. If necessary buy a little more of whatever cutlery/dishes you run out of fastest, so that running out no longer forces you to run a load prematurely! See how we've reduced the cost and CO2 emissions of washing with our new machine. As of February 2010 we do maybe 25% or a little less of the washing on cold (the mains water temperature is low enough right now to have even low-temperature detergents such as small & mighty struggle with significantly-soiled clothes). But we do the clear majority on 30°C, some tough stuff on 40°C. Once per week we do a towels and machine 'maintenance' wash on 60°C. Almost all the non-cold washes are done on delay to finish at breakfast time which is convenient and causes less CO2 emissions from the grid than drawing the power later in the day. May annoy very light sleepers though! Compared to our previous machine and regime we may be saving half a unit (and ~0.25kgCO2 emissions) every day on average. In our (old) washing machine as of 2009/03/08: washing tablet <10p, electricity >10p (cold fill for a 40°C wash with 0.74kWh and inlet temperature between 10°C and 20°C), water consumption 63l specified in manual thus ~10p as metered by Thames Water. For maximum energy and water efficiency make sure that you run the machine full. Just like with a dishwasher, if necessary buy a little more of whatever you run out of fastest so that running out no longer forces you to run a load prematurely! With our new washing machine, ~10% more energy efficient (and even more water efficient) anyway, we have an alternative. We can use a cold cycle saving 80%--90% energy but using a more advanced and expensive detergent to compensate. That leaves us in about the same place financially per-wash cost. Given an assumption therefore of a 2009 cost of ~30p for a 5kg load (6p/kg), and given some figures suggested by Zanussi for clothing weights (see below), we get a cost of maybe 1p for briefs/underpants, 3p for a business shirt, 3p for pyjamas, 3p for a sheet or duvet/quilt cover, and maybe 7p for a bathrobe / dressing gown / housecoat. Something like 90% of the energy that goes into a typical domestic washing-machine cycle is expended in heating the water. Being able to wash at a lower temperature is a potential energy saver. There have been programmes in the UK/EU such as "turn to 30" to encourage washing at 30°C rather than 40°C or hotter. Those are indeed valuable, but being able to wash in cold water as is common in the US and Canada would be much better still. As of August 2009 the lowest-temperature widely-available laundry detergent is the Ariel Excel gel (and Fairy gel) at 15°C from Proctor and Gamble. Our cold water inlet in London at least is only at/above 15°C for about half the year, thus apparently precluding cold washes entirely in winter. However, P&G makes "Tide Coldwater (HE)" in the US, rated down to 4°C, which might work well here. But P&G is not willing to sell it in the UK. Doing most or all UK domestic washes in cold water could save a noticable fraction of our entire energy consumption. (Consuming nearly 5TWh electricity annually circa 2007 out of ~400TWh UK total, or ~0.5kWh/d per household corresponding to maybe less than one wash per day, see IBNW23 at http://www.mtprog.com/.) I was sufficiently annoyed by this 'market failure' that I forwarded my response to Ed MiliBand at DECC. On re-analysis of the numbers, domestic laundry probably only accounts for 1% of domestic electricity consumption. But that's still significant and there for the taking if P&G (and presumably Unilever) would sell existing formulations in the UK. In October 2009 we bought some (Unilever) Persil "small&mighty" at an offer price of ~10p/wash. The bottle is clearly labelled as good down to 15°C. In fact, Unilever customer services said that all their pure liquid detergents, eg not capsules, are tested down to 10°C. It actually works well even below 10°C and indeed we prefer it to the Ariel. We had a big old (9l?) 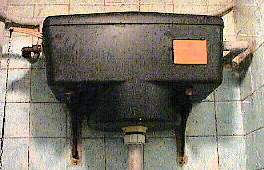 WC flush albeit with a water-saving device. We follow a "if it's yellow, let it mellow" policy. (Flushing a fraction of a litre of dilute sterile urine at most with several litres of drinkable tap-water is horribly wasteful.) But its flush was not always fully effective. Even though we upgraded to a water-saving flush at the end of 2011 with the option of a partial flush when required, I imagine its consumption remains a significant fraction of our total. We don't have a car to wash, so that's one significant avoided cost! As to the washing costs calculated above... Ideally I should compute/include the CO2e emissions of the water and detergent with the electricity/gas to get a better measure of the environmental rather than financial costs. Implicit in all of this is that the cost of not washing, and of poor hygiene and sanitation in general, is high — in health and money. 4.5 billion people live without a household toilet that safely disposes of their waste. The Sustainable Development Goals, launched in 2015, include a target to ensure everyone has access to a safely-managed household toilet by 2030. This makes sanitation central to eradicating extreme poverty. The infamous 1854 Broad Street cholera epidemic in London, that killed over 600 people, showed how poor sewage management carries a heavy cost. 2019/02/21: The new household rules: ditch your toilet brush and wash much, much more: cleaners vs environmentalists. 2018/09/05: Unilever confronts the ‘chairdrobe’ as consumers rethink laundry: "... addressing the issue that 40% of clothes we wash don’t need it." 2018/08/24: How to save energy when using your washing machine. 2018/06/26: A communal bar of soap will not make you sick: "The scientists then washed their hands with a bar of soap and had a second person wash with the same bar of soap. They found that bacteria were not transferred to the second user and concluded: 'The level of bacteria that may occur on bar soap, even under extreme usage conditions (heavy usage, poorly designed non-drainable soap dishes, etc.) does not constitute a health hazard.'" 2018/05/05: Washing Guide for a Plastic Free Nature: "Microfibers released from washing harm the environment. With each wash, countless plastic fibers from synthetic textiles are making their way from washing machines into rivers and oceans. ..." I don't agree with all the ideas here, eg doing without spin would mean our clothes never drying in winter, but still lots to think about. 2018/04/25: National Infrastructure Commission: Preparing for a drier future: England’s water infrastructure needs: "A reliable water supply is usually taken for granted, but England risks water shortages as a result of climate change, an increasing population (especially in the drier south and east) and the need to protect the environment." 2018/03/28: Do hot water recirculating systems save money? : no! 2018/03/22: The hot poop on the Cinderella incinerating toilet: "... it uses a lot of electricity; between .8 and 2.0 kWh ... composting toilets often use electricity too." 2017/09/22: Helen Zille: Why South African politician will only shower every three days. 2015/06/30: Ditch the laundry jugs and go plastic-free: "A horrifying 1 billion laundry jugs are discarded in the United States annually. Once empty, only an estimated 30 percent of these high-density polyethylene (HPDE) jugs are recycled." Example alternatives include "Dizolve makes an innovative ‘eco-strip’ made of laundry soap that’s deceptively small but surprisingly effective. The strip is the size of a movie ticket, but you only need a single one per load. ... Weighing just under 3 grams, each strip represents an impressive 94 percent reduction in the average amount of detergent used per load. It works well in cold water." 2013/08/22: Washing machines – does washing at 60 really banish bugs? : "Detergents are much more effective than they used to be at lower temperatures, so even if your machine doesn’t get to 60°C, a good detergent can remove bacteria and viruses." 2013/07/04: Overfilling kettles wastes £68m a year, says report. Each person uses about 142 litres of water (349l/household) each day. Showers are the biggest water user in the house (25%), followed by lavatories (22%). 43% of respondents have a water meter3 in their homes. These properties used around 3% less water than unmetered properties. Most people fill the washing machine (82%) and dishwasher (77%) to capacity before turning it on. 2013/06/30: Find a water-efficient product. 2013/06/30: Water Calculator for Part G.
2013/02/15: Could doing the washing when it's windy save you money? UK Power Networks estimated "Based on typical consumption, for every 2kWh of high period usage that customers shift to low period, they could save about £1. The more customers move from high period to low period, the more they could reduce their bills" ie just over £100 per year if the washing was put on exclusively at times when electricity was cheapest. 2012/03/07: Energy Saving Trust tool estimates that we use 367l/d of water at home. 2011/11/23: People's showering habits revealed in survey. Suggests that typical UK shower is 8 minutes and 62l compared to a typical bath's 80l. A power-shower would double consumption and thus be much more than a bath. 2011/09/17: Debunking The Hot Water Laundry Myth - Why Are Consumers So Superstitious & Stubborn? 2010/08/19: What's the carbon footprint of ... doing the dishes? The figure quoted by Thames Water for our Green House Gas Emissions is calculated using a water industry standard Carbon accounting tool. A third party, the Water Research Council, has developed this tool. In calculating the figure we take account of the electricity used to treat and pump water. The average figure across the Thames Water region for Green House Gas Emissions is 0.3 grams/litre. The Thames Water metering FAQ. 2010/11/07: TreeHugger: South African City Wants to Pay Folks to Pee. 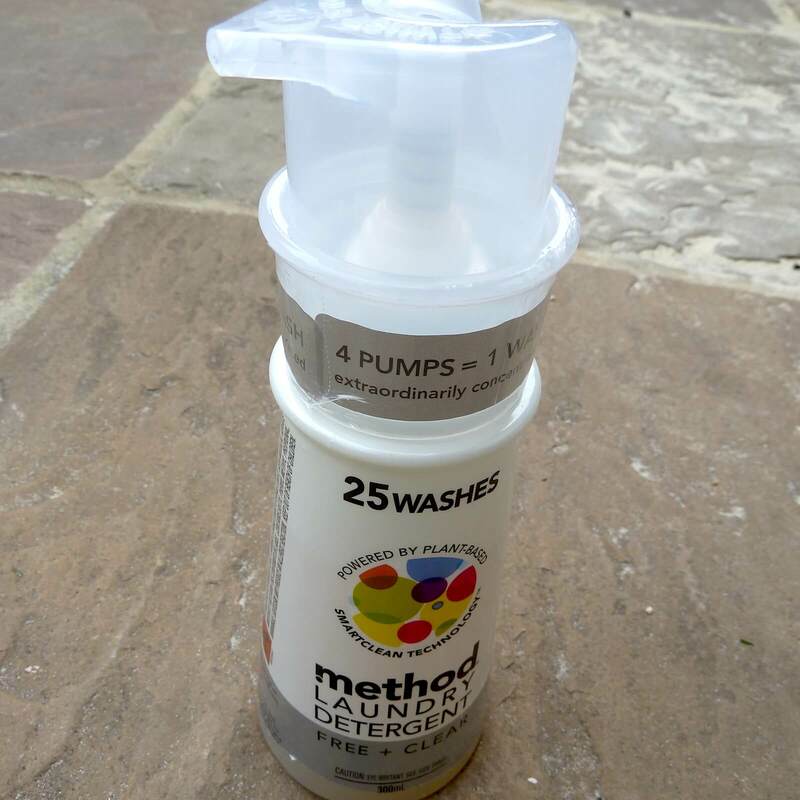 2010/07/20: Method Laundry Detergent's Radical Innovation Wins International Design Excellence Award (TreeHugger): 4x concentrated detergent from Method. 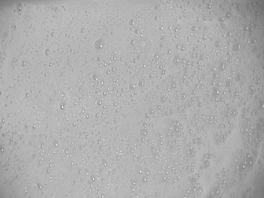 Do 'eco' (non-phosphate) dishwasher detergents work? Spokane (WA, US) residents smuggle suds over green brands; probably not as well as phosphates according to NYT Green; a US industry site explains clearly the dishwashing process. The Register's typically robust 2009/12/08 'We must all stop washing to save the planet'! (Archived) Savings On Tap is part of a "project to help households use water wisely." 19th November is World Toilet Day: Circa 2017 "4.5 billion people live without a household toilet. ... sanitation [is] central to eradicating extreme poverty." Thunder, Flush and Thomas Crapper. Full hero image original: water closet trough bad arrangement c/o AJHD. First published 2009-03-08 , updated 2019-04-17 , rebuilt 2019-04-23 . Site copyright © 2007-2019 Damon Hart-Davis. Hosted by ExNet.